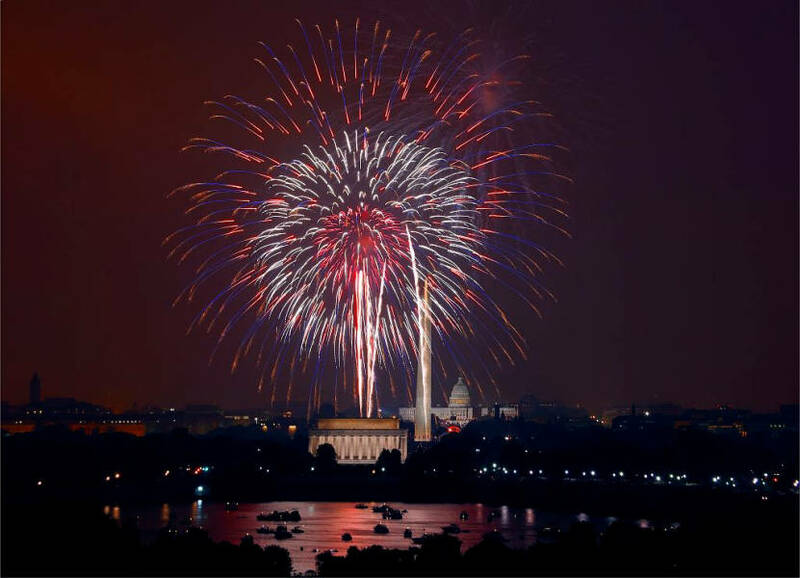 America’s cities and towns will soon fill with parades, fireworks, and barbecues in celebration of the Fourth of July, the 238th birthday of America. But one hopes that the speeches will contain fewer bromides and more attention to exactly what is being celebrated. The Fourth of July is Independence Day, but America’s leaders and intellectuals have been trying to move us further and further away from the meaning of Independence Day, away from the philosophy that created this country. What we hear is that independence is outdated, that we’ve reached a new age of “interdependence.” Our presidential candidates call for more and more sacrifice–sacrifice to the needy, sacrifice to the nation, sacrifice to the world community, sacrifice to the environment. But this message of sacrifice is the direct opposite of what America stands for, of why America became a beacon of hope for the oppressed throughout the world. They have come here to escape poverty and dictatorship; they have come here to live their own lives, where they can exist by right and not by permission of the government, the community or any collective. “Independence Day” is a critically important name for a holiday. It signifies the fundamental meaning of this nation. The American Revolution remains unique in human history: a revolution founded on a moral principle, the principle of individual rights. Jefferson at Philadelphia and Washington at Valley Forge pledged their “lives, fortunes, and sacred honor.” For what? Not for mere separation from England, not–like most rebels throughout history–for the “freedom” to set up their own tyranny. In fact, Britain’s tyranny over the colonists was mild compared to what most current governments do to their citizens. Jefferson and Washington fought a war for the principle of independence, meaning the moral right of an individual to live his own life as he sees fit. Independence was proclaimed in the Declaration of Independence as the rights to “life, liberty, and the pursuit of happiness.” What are these rights? The right to life means that every individual has a right to his own independent life, that your life and property belong to you, not to others to use as they see fit. Political independence is not a primary. It rests on a more fundamental type of independence: the independence of the human mind. It is the ability of a human being to think for himself and guide his own life that makes political independence possible and necessary. The government as envisaged by the Founding Fathers existed to protect the freedom to think and the freedom to act on one’s thinking. If human beings were unable to reason, to think for themselves, there would be no autonomy or independence for a government to protect. To the Founding Fathers, there was no authority higher than the individual mind, not King George, not God, not society. Reason, wrote Ethan Allen, is “the only oracle of man,” and Thomas Jefferson advised us to “fix reason firmly in her seat and call to her tribunal every fact, every opinion. Question with boldness even the existence of a God.” That is the meaning of independence: trust in your own judgment, in reason; do not sacrifice your mind to your neighbors, the church, the race, the state, or the nation. Independence is the foundation of America. Independence is what should be celebrated on Independence Day. That is the legacy our Founding Fathers left us. It is a legacy we should keep, not because it is a tradition, but because it is right and just.